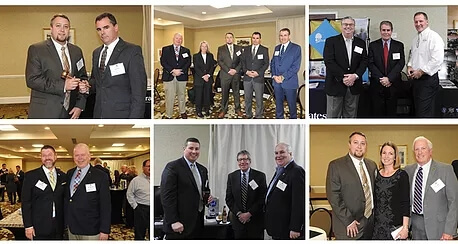 We hope you will join us on 11/17/18 in Freeport, Maine for a day full of informative seminars and networking opportunities with your fellow funeral directors, sponsors and vendors! What a great opportunity to get away and spend some quality time with your funeral director community. Funeral service is undergoing dramatic change. In fact, it is true to say that all successful businesses require change to thrive in today’s technological world. The cookie-cutter approach to funerals is no longer working as many families are moving away from tradition and even religion. Families “shop” for their funeral service needs and competition has popped up in some very unlikely places. These changing times require leaders to take bold actions in responding to the needs of today’s funeral clients. This eye-opening presentation looks at shifting paradigms and perceptions in funeral service and challenges the participant to step forward to be better, be proactive… in fact, be Audacious! Today’s families include members from four distinctly different generations: Traditionalists, Baby Boomers, Generation X, and Millennials. As a funeral director, how do you relate to family members of the various generations to ensure that their needs are met? What type of funeral products and services appeal to each generation to better meet their needs. According to a Gallup poll, only about 30% of people feel fully engaged in their work. Just think what can be accomplished if we are able to engage the other 70%!! This enlightening session provides techniques for making your employees feel valued and a part of the team so that they will sing your praises in the community. 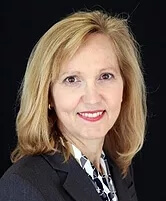 Mary is a highly regarded professional with 30+ years of experience in training and marketing in funeral service and non-profit organizations. As Professional Development Manager for Matthews Aurora, she leads funeral directors through innovative seminars and creates learning through engaging discussion. Mary joined Matthews Aurora in 2016 after a decade-long dedication to character-building in the Cincinnati area. She also helped establish a charitable foundation to support hospice care for children. Her first exposure to funeral service began early in her career where she produced grief support resources, helped roll out cremation products and became a sought-after speaker, delivering hundreds of presentations in the U.S., Canada, and Australia. ﻿Mary is a graduate of the Kelley School of Business at Indiana University. She resides in Cleves, Ohio with her husband Mike. How to protect yourself upon entering a potentially hazardous scene. ﻿Mike worked for the Massachusetts State Police for 31 years. The last 23 years of his career he was assigned to the Crime Scene Services Section. That unit is responsible for processing crime scenes for physical evidence, fingerprints and footwear impression evidence. If fingerprints or footwear impression evidence was recovered he had to perform physical and computerized comparisons to the known impressions of suspects or person's of interest, write reports and testify to the results of my comparisons in court when required to do so. Mike was responsible for documentation of the various crime scenes through photography and videography also. In the course of his career, Mike has investigated thousands of crime scenes including, assisting at Logan Airport on 9-11, was part of a team that recovered the skeletal remains of all 6 victims of Whitey Bulger. He was part of the management team responsible for the documentation and recovery of evidence relative to the Boston Marathon Bombing Scene and it's aftermath in Watertown. Mike retired in July of 2016 and transitioned over to the employment of 24-Trauma. The funeral service as a profession is changing. State and federal legislative and regulatory issues are impacting the ways in which funeral service practitioners serve families, their businesses, and their bottom lines. Cate and Ed will give an in-depth report of the association’s advocacy efforts during the year, as well as the legislative changes enacted during the 128th legislative session in an effort to help Maine’s funeral service practitioners better understand the statutes that affect them, the families who have placed their trust in them as practitioners, and the practice of funeral service here in the state. 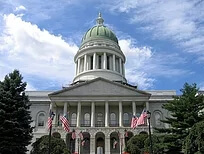 Cate & Ed Pineau established Pineau Policy Associates in 1995 and have been providing lobbying and governmental consulting to a variety of international, national and statewide clients before the Maine Legislature, the Administration and regulatory bodies. They maintain an extensive network of contact within the business, labor and public policy communities throughout Maine. Cate is a graduate of the University of Colorado at Boulder and the University of Colorado School of Law. Ed served three terms in the Maine House of Representatives, and was a consultant to the Maine Bureau of Insurance on health care, workers’ compensation, and disability issues. He is a Maine native and an avid outdoor sportsman.